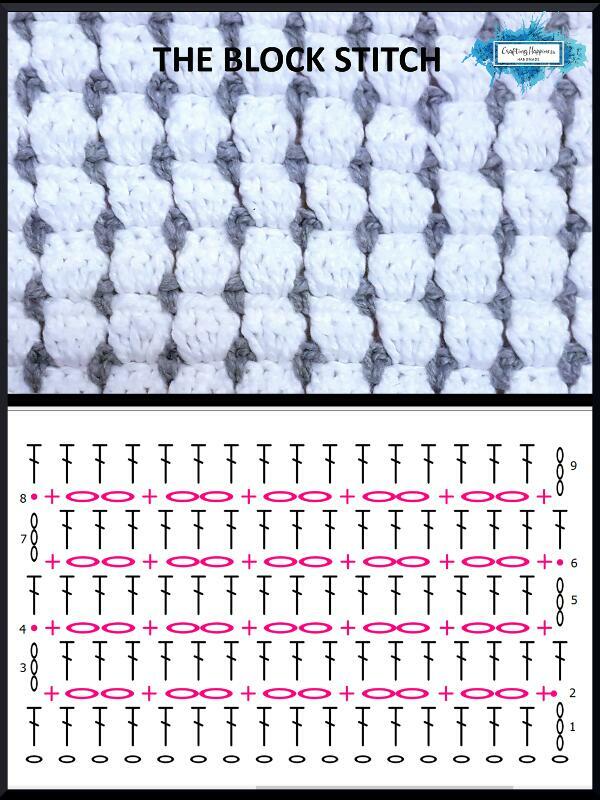 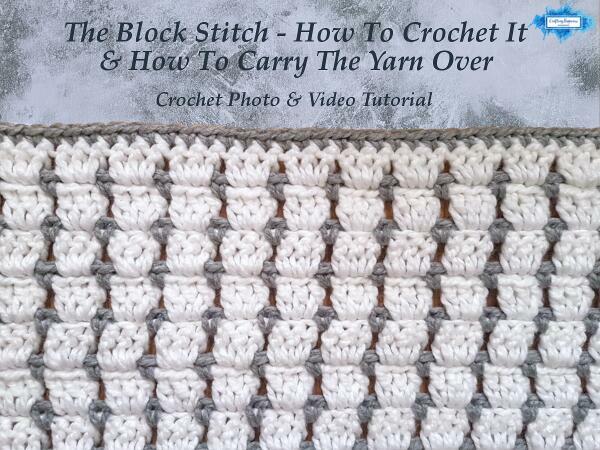 Once you're done with that, lets go back to the block stitch pattern! 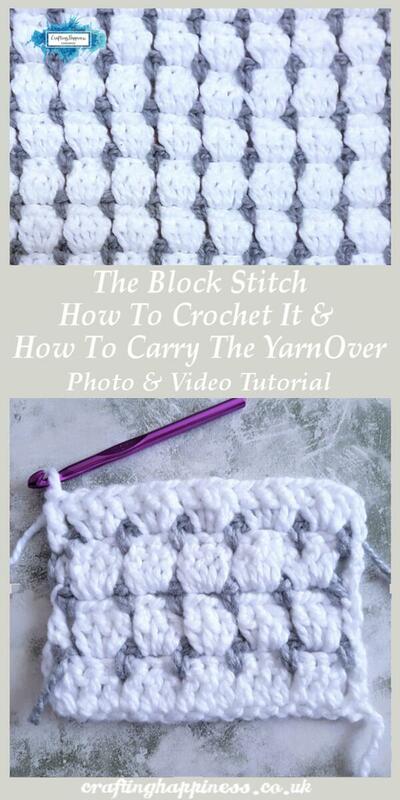 The block stitch pattern is beginner friendly and works up fast using only basic stitches such as single crochet and double crochet. 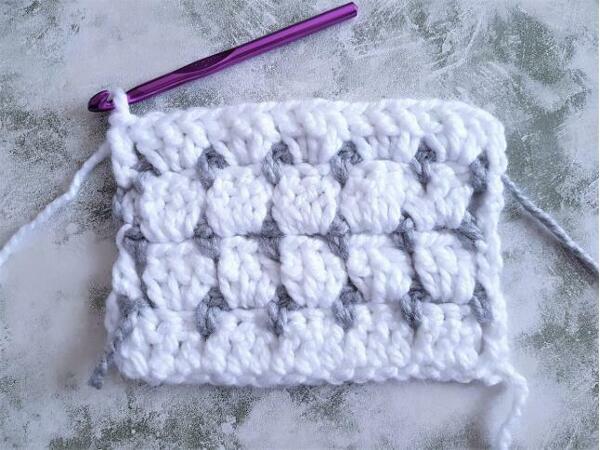 The pattern is double sided meaning it looks great on either side and so, can be used in a variety of projects, from blankets and afghans to jumpers and shawls. 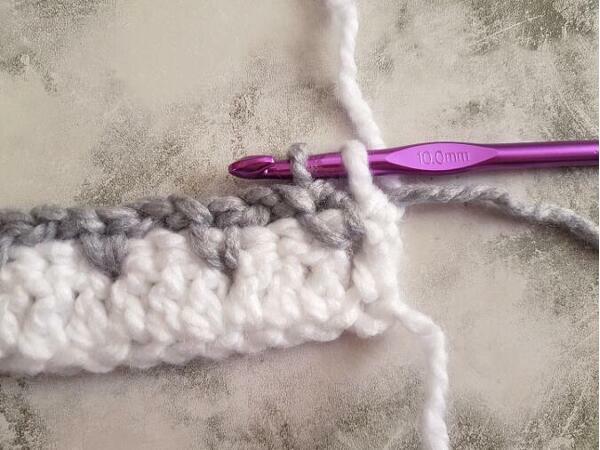 Unfortunately MarrinerYarns ships only in the UK, so for my international customers, I can recommend a similar yarn, Red Heart Yarn , which comes in a multitude of colors and weights, just as affordable and easy to work with as Marriner Yarns. 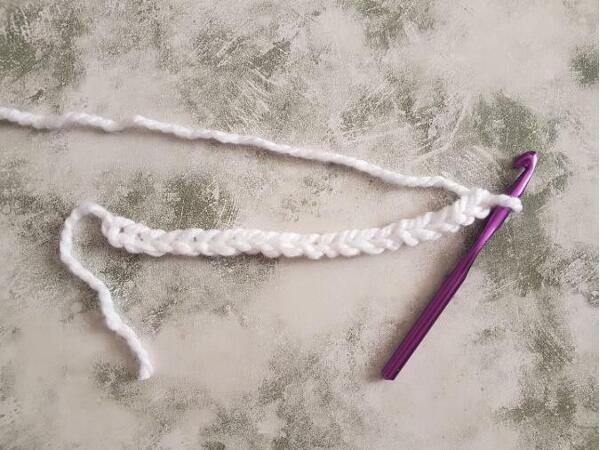 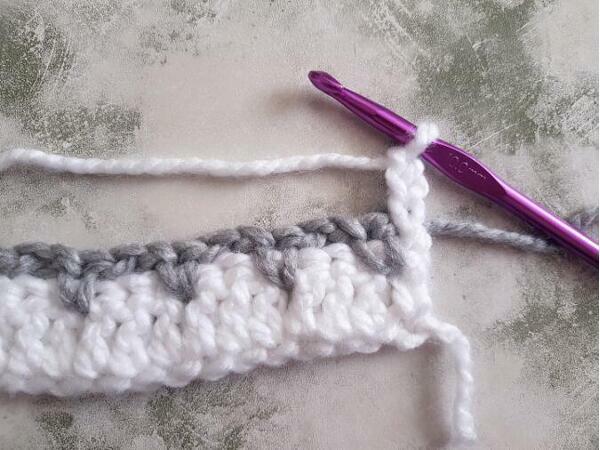 First Double Crochet In The Row (dc1) – Once both colours are on the same side of your work, insert your hook through both loops making sure the strings are at the back. 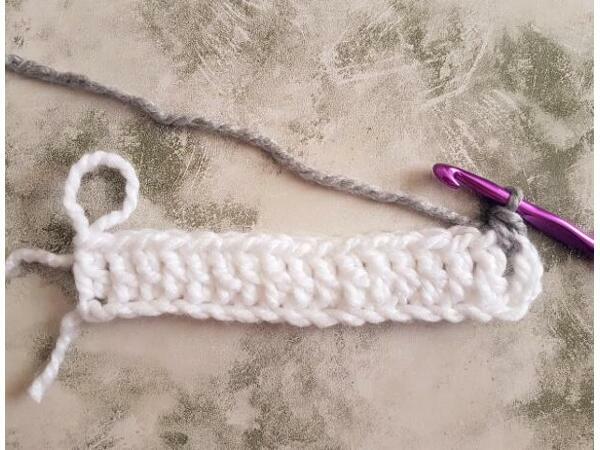 Pull the grey string to the right over the white string, pick up white string, yo and pull through, ch2. 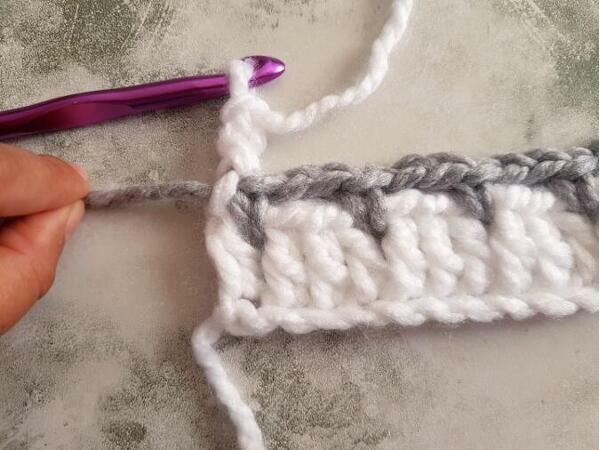 Close the grey loop by pulling on the grey string. 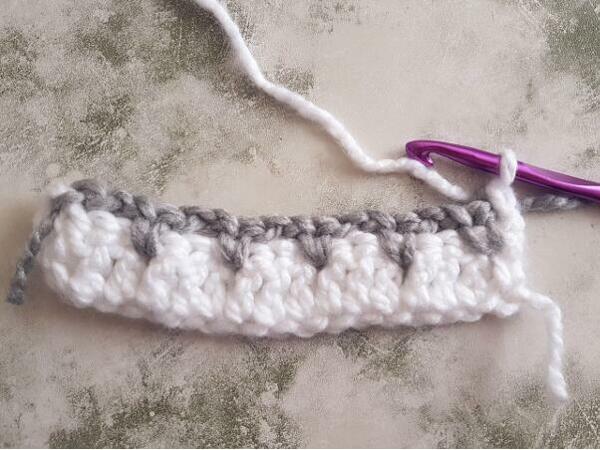 First Single Crochet In The Row (sc1) - The grey yarn, at this point, it's 2 rows below and it will have to be moved up before starting the new row. 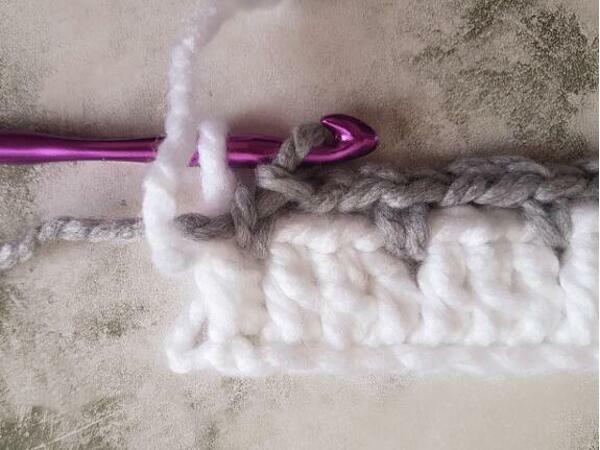 To do that, insert your hook in the top of the first stitch (the first white dc), yo the grey yarn and pull through a loop. 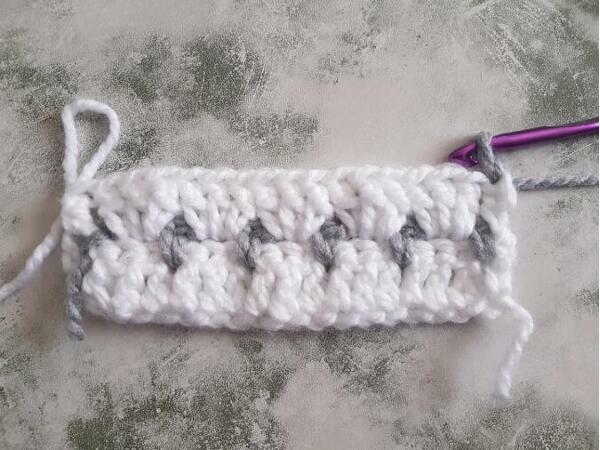 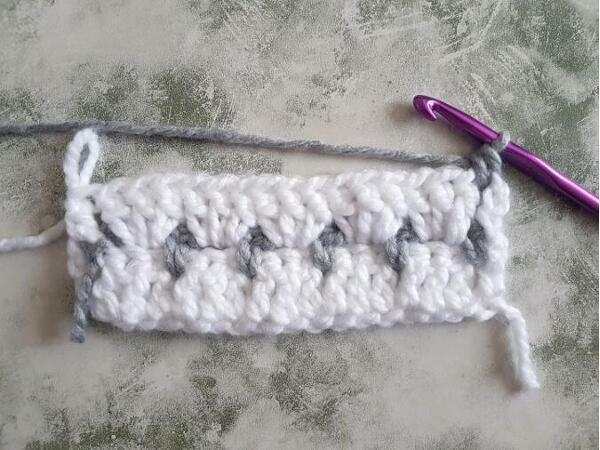 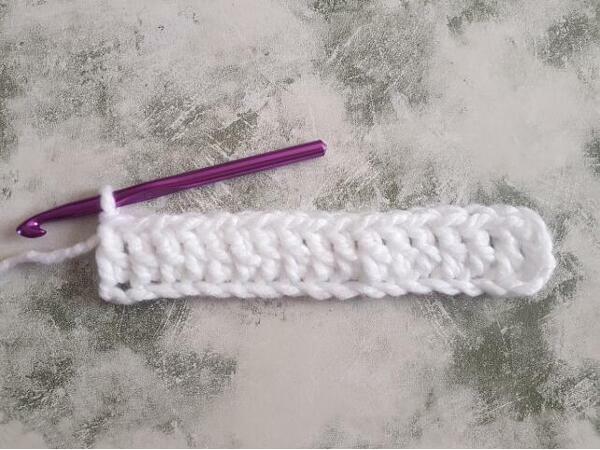 Now make your first single crochet in the row in the space between the first and second double crochet stitch. 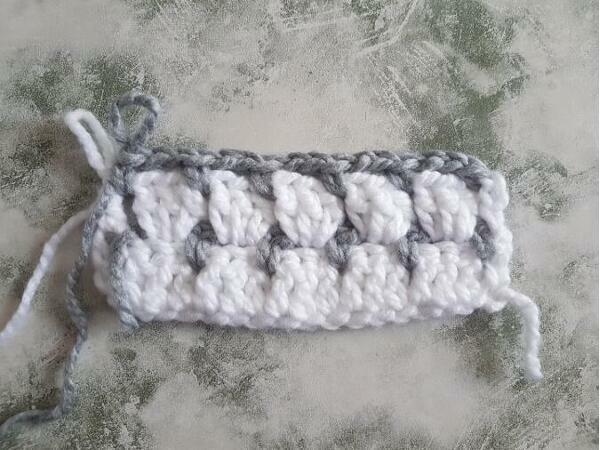 The pattern is a repeat of two rows and requires multiples of 3 + 2 chains. 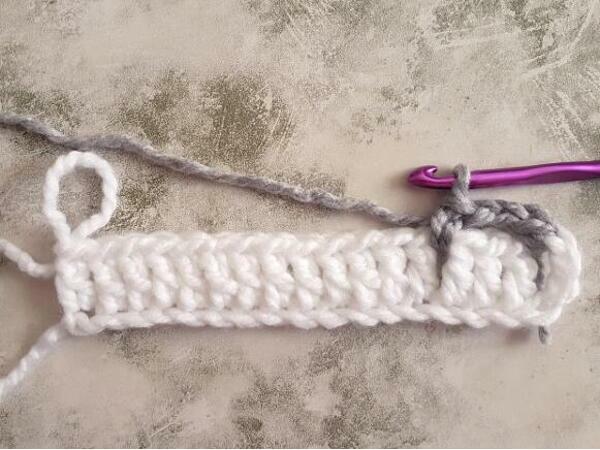 For this tutorial, my starting chain was 20 long. 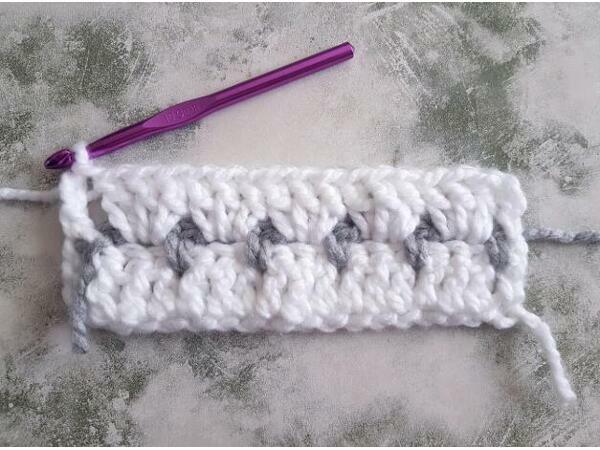 Repeat rows 4 and 5 until the required length is achieved. 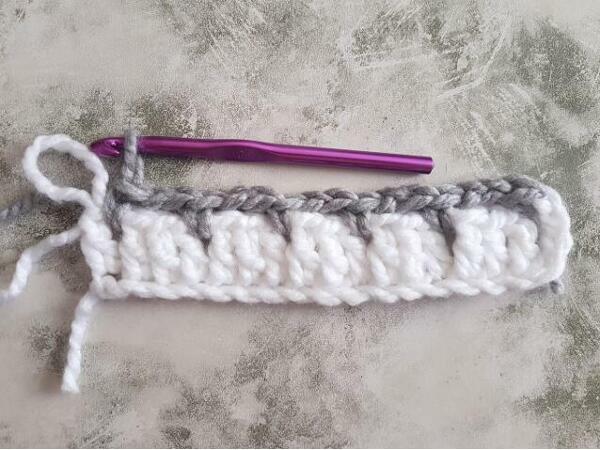 Finish on a white row.